Early last month, Associate Head of School Ruth Burke answered a question many have been wondering about: “What is that circle in the foundation of the new Lower School?” Although there have been many questions throughout the construction process, she told us this question has been the most persistent. Ruth also mentioned the design behind such a structure comes from one of ESD’s own Upper School faculty: Visual Arts Sculpture and Design teacher Dane Larsen. The idea for a tree sculpture originally came from the architects involved in building the Lower School. Early drafts featured more abstract versions of the tree, with formal benches as places to sit and unstructured “branches” as decoration. After looking at the designs, however, Dane Larsen realized that a real tree provided the perfect structure in its natural form: branches for hanging and developing core strength, low branches and roots for clambering and sitting, and even hollows for crawling. The tree sculpture will be composed of cedar 4x4s that will be cross-laminated, which means that each layer will be laid perpendicular to its adjacent layers. The tree will be approximately nine feet tall and will be topped with leaves attached by rare-earth magnets. These detachable leaves will give the students the opportunity to decorate them either as the seasons change or in other fun patterns. The leaves, plus the tree’s open structure that features crawl spaces and clambering spaces, will continually encourage creativity and gross motor skills development in our Lower School students. 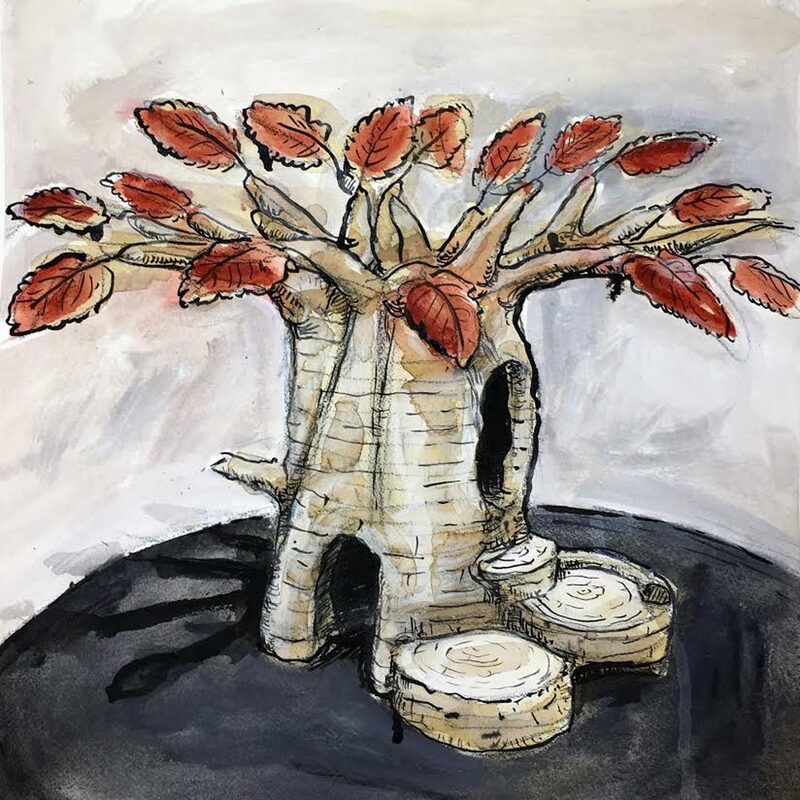 Larsen has completed an initial sketch of the sculpture and plans to begin installation on May 15, beginning what he knows will be a “huge project.” He also plans to involve his AP Sculpture students after they have submitted their final portfolios. With their help, the sculpture will be finished by the time the Lower School opens and promises to be a key feature in our students’ learning experience. Check out our social media for more construction updates and insights!